You may have already noticed, but we’re pretty darn excited about our former executive editor and current contributing editor and columnist Ann Neumann‘s new book, The Good Death: An Exploration of Dying in America. While you wait for your copy (because surely you’ve already ordered one) you can read a couple of excerpts: “What Dying Looks Like in America’s Prisons” at The Atlantic and “I was sure that legalizing aid in dying was the right thing to do. Then I met Bad Cripple” at Slate. Then, make sure you check out a few interviews she’s done recently. We especially liked the ones with Nathan Schneider at America Magazine, , Ellie Faustino at Religion Dispatches, Sheri Fink at Guernica Magazine, Joy Cardin at Wisconsin Public Radio, Kimberly Winston at the Religion News Service, and Sheryl McCarthy at CUNY TV (below). Josef Sorett on “Faith in a New Black Future” at The Huffington Post. In this regard, #blacklivesmatter may not be formally associated with the church, but it is still very much of it. It is not just a critique of the exclusions of the nation-state, but it is also an attempt to reconstitute the matter—that is, spiritual and social terms—of black lives. If nothing else, through singing, dancing and preaching black churches have been spaces for reorganizing and reimagining the terms of black existence. Indeed, even absent the doctrinal orthodoxies of churches, this movement has carried forward the spiritual songs, chants and marching music of earlier eras; remixing old sounds to the demands (and rhythms) of a new day. Colin Dickey writing about Peter Manseau‘s new book, Melancholy Accidents: Three Centuries of Stray Bullets and Bad Luck, in “The Fatalism of Gun Worship” at The New Republic. But our approach to gun violence is both more cynical and impotent. Our long-standing obsession with guns and the harm they do reveals how fatalistic our nation is, how empty its rhetoric about progress is. This is the deal that guns rights advocates have made with the Devil: in exchange for unfettered access, they have abandoned a moral universe in favor of nihilism. What Manseau’s Melancholy Accidents reveals above all is that while we may call ourselves a nation under God, the god we worship first and foremost is Fate. Anthony Petro makes an appearance in a special issue of Notches about Gay Rights and Religion. Together, these essays remind historians of sexuality that religions are not singular, monolithic, or unchanging. Rather, they are heterogeneous and politically diverse. Historians, in other words, should not assume that religious institutions have always been hostile to gay rights. Because religion does not carry within it a universal sexual politics, then it is imperative to ask after denominations’ changing stance on gay rights in different cultures or time periods. “Our goal is to have children deal with differences in a healthy, positive way and encourage them to be inquisitive while exploring the world instead of running away from its differences,” Rashid said. Definitely sounds worth a visit. Afterward, you might want to check out Simon & Schuster’s new imprint for “Muslim-themed” Children’s books. 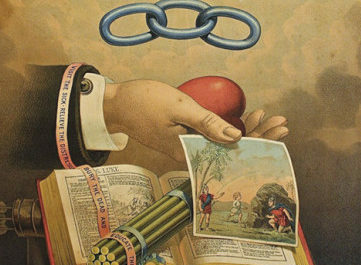 Peter Bebergal explains how Jessa Crispin is “Making the Tarot Literary Again” for The New Yorker. 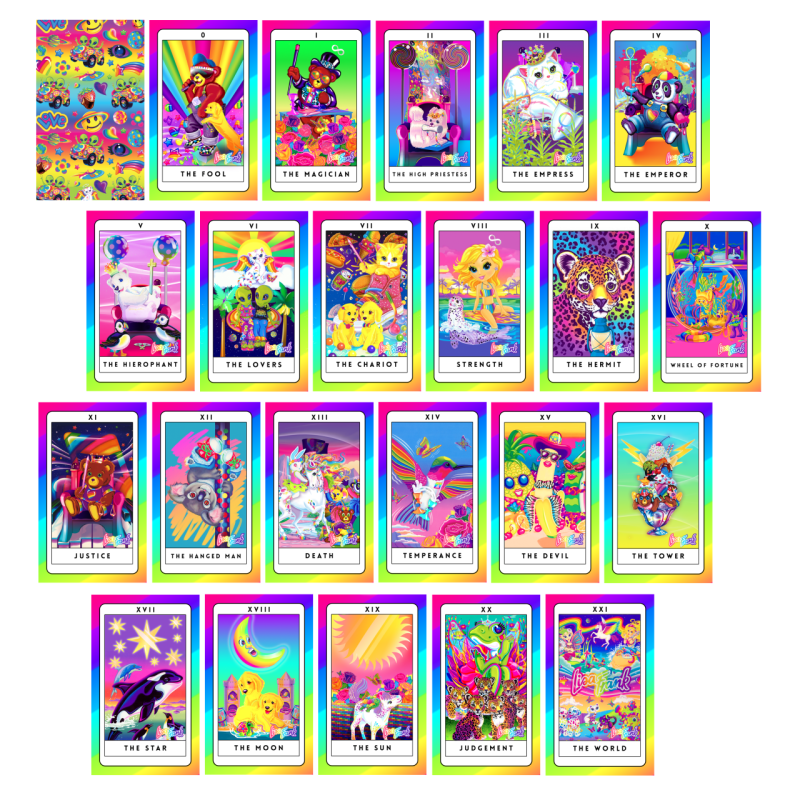 We don’t know Lisa Frank personally (probably for the best), but that doesn’t mean we weren’t excited to see these psychedelic tarot cards made in her spirt by Ariel Hart. Most germane to the study is the fact that psilocybin has been associated with unitive and mystical experiences, which the Hopkins scientists wish to explore further with leaders from all religious traditions. Your writing team includes first-timers who got a crash course from you in how to write TV. Many critics also see the series as doing a good amount of teaching about trans and queer politics. Do you feel you had to do similar teaching about Yiddish or a Yiddish sensibility—teaching your writers and your audience? JS: I’ve come to think of Transparent as religious programming. It’s church. It’s synagogue. We should be in the same category as The 700 Club. 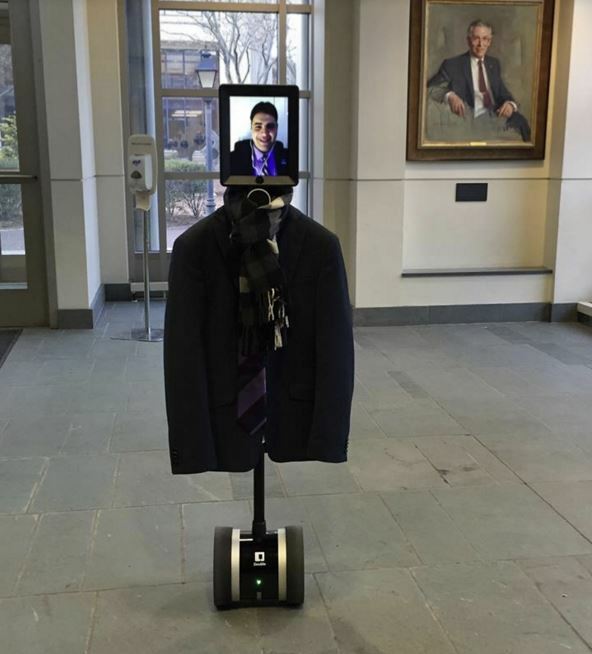 And an “Allegedly ‘Dystopian’ Robot Joins Campus Debates” reports Inside Higher Ed. where this year a long, rich history is commemorated” with The New York Times. In the course of my visit, what I became most curious about was the mood of the current Jewish community of 450 people. Venice is such an impossibly beautiful fantasy, it seems astonishing that ordinary people, Jews among them, actually live there. How, I wondered, did deep-rooted Jewish families feel about their past — and future — in this ancient, vulnerable city? “Holy Ravioli! 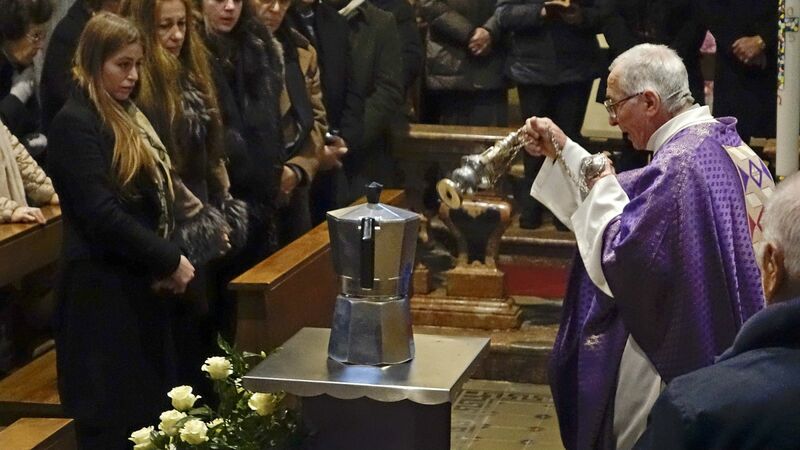 Cookbook Reveals The Vatican’s Favorite Recipes” reports The Salt. He loves Argentinian empanadas and dulce de leche. In 2015, he said that if he had only one wish, it would be to travel unrecognized to a pizzeria and have a slice — or two or three. In other words, he may be protected by the world’s smallest army and be responsible for the spiritual governance of 1.2 billion people, but when it comes to eating, Pope Francis loves comfort food as much as the next person. And, you can now follow Pope Francis on Instagram. Because of course you can. (We have fewer white frocks and a lot less solemnity, but if you want, you can also follow us too while you’re there. We’re admittedly a bit hooked on Instagram, but we still quite like our old media, too. And what’s better old media than BBC radio? We’ve been following along as presenter Kanishk Tharoor and producer Maryam Maruf publish their series of recordings and articles for BBC4 Radio, “Museum of Lost Objects” tracing the stories of ten antiquities and cultural sites that have been destroyed or looted in Iraq and Syria. We strongly recommend checking them out. Initially, it was this sense of urgency that drew me to the site, the feeling of breathless struggle embedded in the story of this archaeological mission. But as I followed Zafar’s work from a distance, I realized that it was in fact imbued with a subtler, more challenging truth. The excavated bricks of Tepe Naranj can be read as a parallel, contemporary narrative of the city. In its exposed vulnerability, and in its slow vanishing into precarious memory, this shrine from Kabul’s past is an apt monument to its tortured present. Sarah Dees writes about being “Haunted by the Archive” for Religion in American History. Indeed, the violent event—described at the time as a “battle” and today as a “massacre,” represents a singular moment in American religious history. This event is significant for Native American religious history, American religious history, and for the broader study of religion—as a single case study, it raises important questions about race and religion, the violence of purportedly progressive efforts at missionization and assimilation, the role of religion in social control, the status of non-majority religions in law and politics, anxieties over new religious movements, and the elusive ideal of religious freedom. Thus, while I think that Martin’s critique is still relevant, I would hope that it ultimately encourages scholars to keep teaching the Ghost Dance—but to teach beyond it, drawing on a variety of scholarship in and beyond the field of Native American religions. Alex Mar contends that “A Witch is a Witch is a Witch” in Tin House. Though a definitive biography of her life has yet to be published—both scholarship and her own writings have focused on her magical life—we know the basics. She was born Doreen Dominy in 1922 in Surrey, outside London. Her parents were conservative Christians; her father was a civil engineer; but Doreen felt marked for a different life. When she was still a child, she had her first mystical experience one night while staring up at the moon. By thirteen, she believed she was having psychic episodes, and she began experimenting with magic. Doreen made a poppet to protect her mother from a local woman who’d been bothering her, and she believed the spell had worked. Hoping to cure their daughter of her interest in witchcraft, her parents decided to send Doreen to a convent school. But before her second year was up, she walked out the door and never returned. In fact, we should probably all read the current issue of Tin House on Faith. Professor Jacob Olupona discusses “The Spirituality of Africa” in The Harvard Gazette. For starters, the word “religion” is problematic for many Africans, because it suggests that religion is separate from the other aspects of one’s culture, society, or environment. But for many Africans, religion can never be separated from all these. It is a way of life, and it can never be separated from the public sphere. Religion informs everything in traditional African society, including political art, marriage, health, diet, dress, economics, and death. This is not to say that indigenous African spirituality represents a form of theocracy or religious totalitarianism — not at all. African spirituality simply acknowledges that beliefs and practices touch on and inform every facet of human life, and therefore African religion cannot be separated from the everyday or mundane. African spirituality is truly holistic. For example, sickness in the indigenous African worldview is not only an imbalance of the body, but also an imbalance in one’s social life, which can be linked to a breakdown in one’s kinship and family relations or even to one’s relationship with one’s ancestors. “Because of a Trappist monk, Apple computer displays look the way they do today” according to the New York Times obituary for Rev. Robert Palladino. Francine Prose writes about “The Passion of the Coens” in The New York Review of Books. Like all the best films, Hail, Caesar! alters how the world looks to us—the sharpness with which we pay attention to reality—after we’ve left the theater. Riding the escalator down in the multiplex where I saw the film, I couldn’t help noticing the posters heralding the features slated to open during the next few weeks. The three films receiving the most advance publicity were all costume epics. One (Gods of Egypt) takes place during the age of the pharaohs, while the other two—Risen and The Young Messiah—have, as their subject, or partial subject, the life and teachings of Christ. More than half a century after the era in which Hail, Caesar! is set, Hollywood is still making pictures of the sort that would likely contain a meaty role for an actor like Baird Whitlock, but which will presumably lack the irony, the nuance, the humor—and the fun—which the Coen brothers have brought to this latest chapter in their ongoing exploration of how we live, or try to live, in the presence or absence of the divine. Phillip M. Sherman reviews Erin Runion‘s book “The Babylon Complex” for the Marginalia Review of Books. 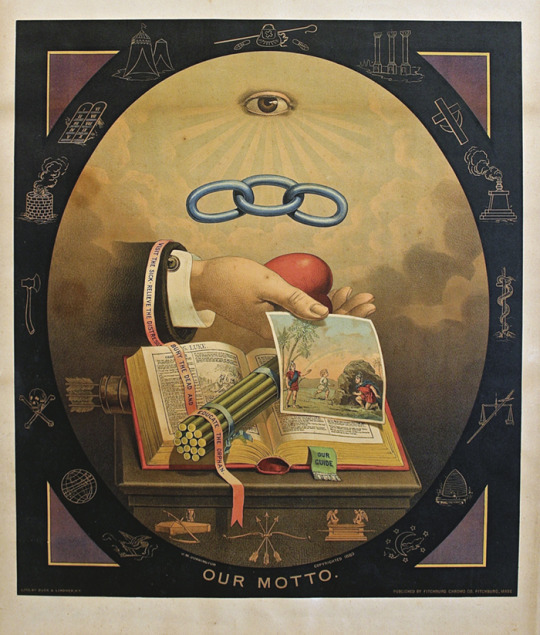 Independent Order of Odd Fellows, Our Motto, 1883, J. W. Dorrington. Webb Collection. We’re definitely going to go check out this new show of “Folk Art Relics from the Golden Age of America’s Secret Societies” at the American Museum of Folk Art which we found out about at the end of an Internet rabbit hole we fell down reading about “The Bizarre Branding Of America’s Many, Many Secret Societies” in Co.Design. 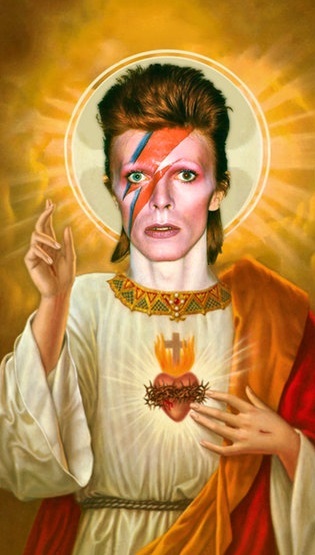 Speaking of shows we want to see, “An Exhibition to Mark the Canonization of Saint Bowie” should definitely be at the top of any list.